Our guide to Portland will help you find the best breweries in Portland Oregon. What distinguishes Portland, Oregon, from the rest of America's cityscapes? Or from the rest of the world's urban destinations, for that matter? In a Northwest nutshell: everything. For some, it's the wealth of cultural offerings and never-ending culinary choices; for others, it's Portland's proximity to the ocean and mountains, or simply the beauty of having all these attributes in one place. Strolling through downtown or within one of Portland's numerous neighborhoods, there's an unmistakable vibrancy to this city -- one that is encouraged by clean air, infinite trees, and a diverse blend of historic and modern architecture. There are tons of great breweries in the city of Portland, our city guide will help you find the best breweries. You may have a hard time deciding what to do in Portland, but we make your decision easy. In 2008, Portland had 30 microbreweries located within the city limits, more than any city in the world and greater than one-third of the state total. With 46 microbrew outlets, Portland has more breweries and brewpubs per capita than any other city in the United States. Many have won nationwide and international acclaim. 1313 NW Marshall St, (503) 241-3612 - BridgePort Brewing Company is a brewpub located in Portland OR. 1321 NE Couch St, (971) 678-7116 - Natian Brewery is a brewpub located in Portland OR. 1728 NE 40th Ave, (503) 943-6157 - Columbia River Brewing Co is a brewpub located in Portland OR. 1800 E Burnside St, 503236BURN2876 - 16 rotating taps, excellent food menu, Beer Belly Dinners & so Much More!! 1801 NE Broadway St, (503) 284-4460 - Broadway Grill & Brewery is a brewpub located in Portland OR. 2204 NE Alberta St, (503) 548-4491 - The Mash Tun Brewpub is a brewpub located in Portland OR. 2524 SE Clinton St, (503) 238-8899 - Clinton Street Brewing is a brewpub located in Portland OR. 2730 NW 31st Ave, (503) 226-2508 - Portland Brewing is a brewpub located in Portland OR. 2828 NE Glisan St, (503) 206-5221 - Migration Brewing Co is a brewpub located in Portland OR. 307 SW Montgomery St, (503) 222-5343 - Full Sail Brewing Company Riverplace is a brewpub located in Portland OR. 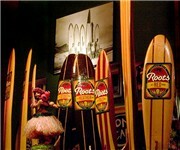 1520 SE 7th Ave, (503) 235-7668 - Roots Brewing Company is a brewery located in Portland OR. 1616 NW 23rd Ave, (503) 225-1855 - Lompoc Brewing produces handcrafted ales and lagers – taste them at one of their pubs: New Old Lompoc, Hedge House, Oaks Bottom, 5Q and Sidebar. 240 N Broadway, (503) 445-3700 - Upright Brewing is a brewery located in Portland OR. 711 SW Ankeny St, (503) 226-2508 - Tugboat Ale is remarkably different from the glut of pasteurized "can beer made available by other beverage merchants. 1313 NW Marshall St, (503) 241-3612 - Bridgeport Brewpub & Bakery is a coffeeshop / cafe located in Portland OR. There are plenty more breweries in Portland. See all breweries in Portland Oregon.